The iPad is a hot item and if you don’t already have yours, you probably can’t wait to go buy it. If you’re planning to head out soon to pick one up, you’ll need to decide which one is for you. Do you need the iPad with WiFi or the one with 3G plus Wi-Fi? The iPad with WiFi uses the signal from your home wireless connection to connect to the Internet. The 3G with Wi-Fi uses your wireless connection plus the signal from the cell phone towers in your area. It works in the same way that your smart phone works. Therefore, you have two ways to connect, via WiFi or the 3G cellular network. To determine which iPad is best for you, it helps to take a closer look at both options. The battery life of an iPad is incredible considering all the things it can do. The average battery life is about 10 hours for a WiFi version. However, if you choose the 3G version, you bring this number down to about 7 hours. This is still good but it may prove to be an inconvenience for some users. You do have the option of investing in a travel charger, so if you have somewhere you can charge the iPad if needed, this may not be an issue. If you plan to use the GPS or apps that require GPS, then the 3G model may be for you. The WiFi model has the ability to find the general area you’re in with triangulation but it is not as accurate or reliable as the 3G model. If you need to depend on the GPS for traveling, the 3G version would be the best choice. Where Can You Use Your iPad? One of the main reasons for getting an iPad is so you can carry it around with you. The 3G model allows you to use your iPad anywhere that you would be able to use your smart phone. In order to use the iPad WiFi you must have a WiFi connection. It’s great for home use and you can connect at coffee shops, restaurants and hotels that have WiFi access for its guests but your use is more limited. Determine where you plan to use the device most of the time and this will help you decide which one is the best for you. If you’ll only use it at home or occasionally when you go out, the WiFi version should be sufficient. On the other hand, if you plan to travel a lot or carry it with you everywhere you go, the 3G may be a better choice. 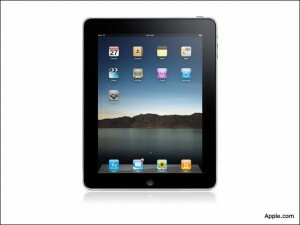 The price is also something that you need to consider when choosing between the iPad WiFi and iPad 3G. You can expect to pay more for the 3G because it offers more connectivity. The iPad itself will run you approximately $100 more to purchase but you also need a service provider such as AT&T or Verizon to use it. There will be a regular monthly fee for this service but if you already have service through a participating provider, you may be able to get a good family data deal. If you have an old iPad just lying around, consider doing a trade-in to get rid of it and get some money back for yourself. If you have an older iPad around your house that's not getting much use or if you are planning on upgrading when a new version is released, now is an excellent time to consider the benefits to upgrading and trading in your iPad. Original Article has 551 words.